This project was supported by the APS Fund for Teaching and Public Understanding of Psychological Science, which invites applications for nonrenewable grants of up to $5,000 to launch new, educational projects in psychological science. Proposals are due March 1 and October 1. Ana Ruiz and Judith Warchal of Alvernia University received a grant from the APS Fund for Teaching and Public Understanding of Psychological Science to create a resource for incorporating ethics into the undergraduate psychology curriculum. Teaching Ethics to Undergraduate Psychology Students (TEUPS) is the resulting website that provides a centralized location for educators looking for activities, articles, books, associations, videos, lectures, awards, and other resources that are related to teaching ethics. The website is based on ideas Ruiz presented in a Teaching Tips article published in the Observer: “Ethics in the Introduction to Psychology Course.” The TEUPS website was launched in July 2013. Since then, thousands of users from the US and at least 10 other countries have accessed the site. The authors continue to maintain the website with up-to-date references and resources. They ask anyone with suggestions for additional content to contact them at ana.ruiz@alvernia.edu or judith.warchal@alvernia.edu. 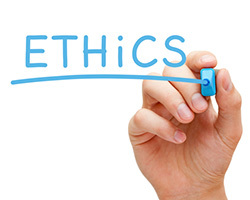 Could you forward links to videos and articles about ethics that I can assign to my undergraduate students? Forgive me. I tried navigating the site but I could not find what I am looking for. Thank you for your help.